While Trump wasted no time in taking a victory lap for his "historic" new trade deal between Canada and the US, which was (literally) struck in the 11th hour on September 30 to save the North American Free Trade Agreement, henceforth called USMCA (even though it is called NAFTA 2018 in the legal document), and which saw Canada joining the previously reached US-Mexico agreement, there has been some confusion about what's in it. Below we provide a summary and detailed breakdown of the key components of the new trade agreement. The US and Canada reached an agreement to protect Canada's autos from high auto tariffs if the US imposes them under law 232 with a quota of 2.6 million vehicles exported. The latter is similar to the "side-letter" that Mexico agreed with the US that protects 2.4 million vehicles. So far there are no exemptions from steel and aluminum tariffs. The new three-country pact would require auto makers to build a greater portion of a car in North America and with higher-wage workers to avoid duties when a car crosses borders. That would be a relative win for Detroit’s Big Three auto makers, which rely heavily on factories in Canada and Mexico for the U.S. market and can now move forward with factory investments with greater clarity. Car makers from Europe and Asia with plants in Canada and Mexico would also get more clarity, but provisions about local components and export limits could complicate operations. The deal also would be a win for American auto workers and their labor unions. New rules would require at least two-fifths of a vehicle that is eligible for duty-free trade in North America to originate from workers earning at least $16 an hour. Think of it as a cap on the amount of parts coming from low-wage Mexico. But companies would get credit for high-wage research and development. Farmers and agribusinesses welcomed the agreement, as it would likely preserve tens of billions of dollars in farm goods traded annually across the countries’ borders. It also should prompt the U.S., Canada and Mexico to each remove tariffs on one another’s products that have hurt U.S. prices for pork, cheese and other foodstuffs. Mexico and Canada have become critical pillars of demand and supply for the U.S. food and agriculture industry since Nafta took effect in 1994. Meanwhile, U.S. dairy farmers got what they asked for with Canada agreeing to drop its complex “Class 7” quota and pricing system, which limited imports of certain dairy products from the U.S. That is likely to win praise from lawmakers from milk-rich U.S. states, but it could have political ramifications in Canada. U.S. manufacturers welcome anything that precludes further disruption for companies that have spread their operations and supply chains across the continent in the past quarter-century. “Manufacturers are extremely encouraged that our call for a trilateral agreement between the United States, Canada and Mexico has been answered,” said Jay Timmons, chief executive of the National Association of Manufacturers, in a statement. Manufacturing trade groups said they would scrutinize specifics of the deal as they are released. The agreement would leave in place Trump administration tariffs on imported steel and aluminum, as U.S. negotiators have insisted that any changes to U.S. duties on steel and aluminum that took effect in June be addressed separately from a broader trade deal. U.S. trade negotiators will face pressure from domestic steel producers to keep in place a tariff that has given them leverage to raise prices. Those higher prices have allowed U.S. producers to improve margins and expand production at domestic plants. Steel and aluminum trade groups didn’t respond immediately to requests for comment on Monday. The agreement would face a “sunset” in 16 years, if it isn’t actively renewed or renegotiated. The three countries would meet every six years to decide whether to renew the pact, potentially keeping Nafta-pocalypse 16 years in the future in perpetuity. Canadian and Mexican officials say the uncertainty of sunset clauses undermines investment in their countries. Still, companies are somewhat pleased the Trump administration didn’t get the five-year sunset clause it was seeking. In a global first, the new pact would include enforceable rules to deter countries from artificially weakening their exchange rates to gain trade advantages. While the U.S., Canada and Mexico aren’t regularly blamed for this kind of infraction, the auto industry and its allies hope the rules would be included in deals with Asian countries in the future. Nafta includes mind-numbingly complex systems to hold countries to account when they bend or break trade rules. Trump administration officials are wary of systems that can overrule the U.S. government and have sought to weaken the dispute-resolution systems. One system that allows foreign companies to challenge governments—investor-state dispute settlement, or ISDS—has been sharply scaled back in the new blueprint. Canadian officials fought to keep another arbitration system that allows the country to challenge U.S. duties on allegedly dumped or subsidized Canadian imports, for example. U.S. trade representative Robert Lighthizer and American lumber producers had wanted to scrap the system, but in a victory for Ottawa, the U.S. agreed to keep the system, contained in Chapter 19 of the current Nafta. Under its agreement last month, Mexico would be protected from the brunt of any national-security tariffs the Trump administration is considering on vehicles and auto parts, and Canada got a similar deal, a U.S. official said late Sunday. But Mr. Lighthizer said Monday that any respite for Canada from steel and aluminum tariffs would have to be negotiated separately, and Mr. Trump defended his use of tariffs. The USMCA preserves the trilateral nature of NAFTA, which reduces uncertainty in the region. At least some pent-up investment may be deployed as a result. The deal also reduces risk premium and is therefore supportive of Canadian assets such as CAD. It also clears the way for the Bank of Canada to continue hiking (we expect the next hike in October). USMCA constitutes a win for US president Donald Trump and reduces the risk of escalation of global trade wars, as it provides a path for other trade deals such as an eventual US-China agreement. David Woo believes this agreement could send US rates higher and that it is bullish for cyclical assets. The USMCA is expected to be signed by leaders of the three countries in 60 days, on November 30, and to be voted by Congresses/Parliament afterwards, most likely in 2019. In the meantime, NAFTA remains in effect. 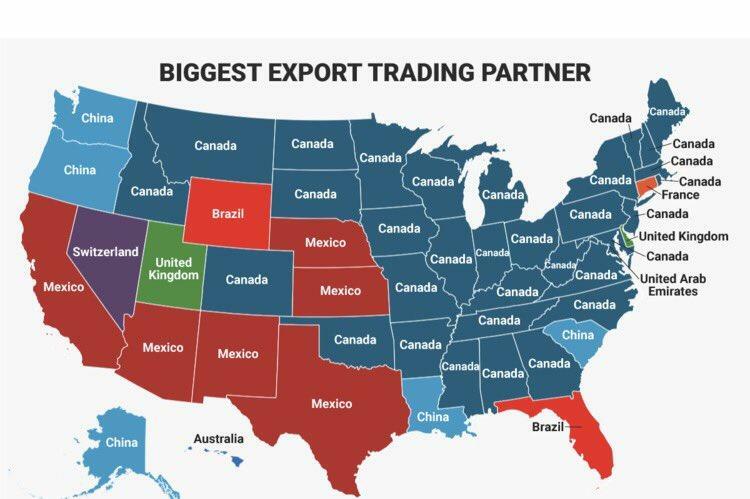 For USMCA to come into effect it will need to be approved by simple majority in both houses of US Congress (starting with the House), by simple majority in the Canadian Parliament and by qualified majority (2/3) in the Mexican Senate (which AMLO should be able to get without much trouble).